3 TIPS TO INCREASE SALES OF YOUR SEASONAL CUSTOM BOTTLE LABEL | Cummins Label Inc. Autumn is the harvest season, and we see some great seasonal custom bottle labels come through the shop. Do you have a seasonal product you need a custom label for? Here at Cummins Label we’re proud of the work we do with brewers and others who create specialty items that are offered on a limited basis. 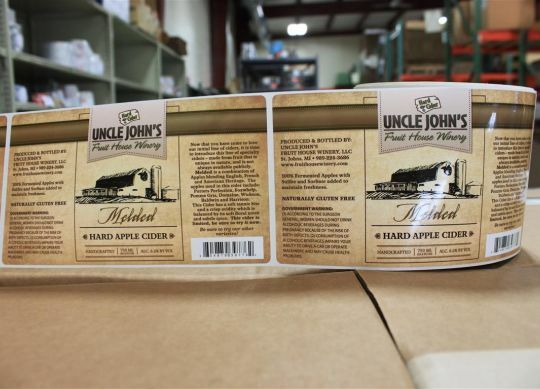 If you have a product like specialty hard cider or beer that’s only offered seasonally, we’ve got some tips to make sure your label is grabbing the buyer’s attention and letting them know to get it while it lasts. While supplies last. Don’t be shy about letting your audience know that this is a seasonal product that is only offered in limited supply. We all love to try new things, and we don’t want to miss out on a great opportunity. Let your buyers know that your product won’t be around forever and that they want to buy it up while supplies last. Join the celebration. Your custom label should visually become part of the season it represents. Look for imagery that reflects the time of year, or important national holidays that occur during dates you’ll be making your sales. In years to come your product will become part of the anticipation and celebration. Local here, special everywhere. Location matters, consumers are still increasingly interested in celebrating regional specialties. When you’re designing your label, remember to include information on where your ingredients are grown and where it’s brewed, pressed, or made. If you need help with any of these ideas our art department is always ready to help. Our goal is to develop long term relationships that continue through many seasons. We are here to collaborate with you, and are looking forward to helping you grow the success of your product!